The General Services Administration announced on June 15 a set of new contracting opportunities related to the Agriculture Department Centers of Excellence for information technology modernization initiatives, Bloomberg Government reported Wednesday. 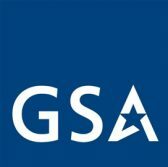 GSA will launch eight digital service procurement efforts via contract vehicles such as Alliant, Professional Services Schedule, Schedule IT 70 and Veterans Technology Services 2. The programs support the USDA CoE initiative’s second phase that will cover performance measurement indicators, analytics and models; web-based collaboration and communications tool; cloud and data center migration and data and analytics methods. ICF, Kaiser Associates, McKinsey & Co. and SIE Consulting Group were selected for the initial phase, which has task orders worth up to $7 million, and have received $4.1 million combined so far. All four companies will provide service delivery and customer experience analytics, IT infrastructure optimization, department contact center or cloud implementation support.